Australia is in the middle of a silent debt crisis. Although studies show that well over a million Australian households are technically classified as "over-indebted", few people are aware of the scale of the problem. Australia is in the middle of a silent debt crisis. Although studies show that well over a million Australian households are technically classified as “over-indebted”, few people are aware of the scale of the problem. For those who are in debt, it could seem easier to simply bury their heads in the sand rather than tackle the problem head-on. With debt management options ranging from risky consolidation loans, which extend the overall period of debt, to other complicated programs which seem more trouble than they’re worth, it’s easy to see why people ignore the problem. However, there are ways out of the cycle – and one is to design a “debt pyramid” to help prioritize. When making a debt reduction plan and ordering debts regarding repayment priority, a logical place to start is with how much these debts are costing you. If a person has two ten-year loans with one costing them $1,000 a year while the other costs $500 a year, for example, it would, on the face of it, seem like the right thing to do to put any extra cash towards clearing the $1,000 debt, as it means the overall debt repayment levels will drop over time. As well as thinking about interest rates, a borrower should also consider rates in proportion to the overall size of the debt. Sometimes, paying a higher interest rate on a small loan is still cheaper than paying a lower interest rate on a very large loan, so it’s worth checking this out and crunching the numbers before deciding what to prioritise. Depending on the financial situation, it’s possible that some debt might be tax-deductible. 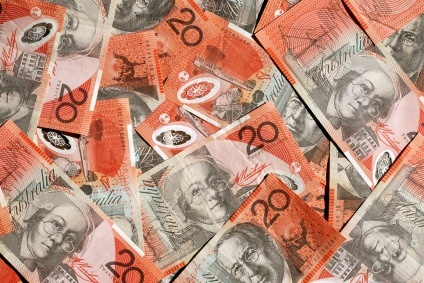 In Australia, debts such as investments can be offset against some tax bills and reduce an individual’s overall tax bill by a substantial amount. Other debts, like a payday loan or a mortgage, can’t be used in this way. For that reason, it’s much more cost-effective to first pay off the debts which cannot save on tax owed because they do not offer the borrower any advantages whatsoever. The ones that are tax-friendly, though, can be played to the borrower’s advantage, so it’s wise to push them down the priority list. In an ideal world, the first “debt” the borrower should pay off with their monthly paycheck should be the debt they owe to their future selves – in that they should set aside cash for their later life and retirement. However, if they owe a debt to an actual creditor, it’s almost always wise to pay that off before starting to save cash, due to the return they’d get on their savings most likely being lower than the amount they’d be paying in loan interest. It may even be possible to do this for living costs. If an individual has spare cash and no other debts, they should consider whether there are substantial fees in place for overpaying their mortgage and clearing it early. So, if a person in debt has got the urge to save, they need to hold that thought and plan to clear their debts as quickly as possible first. The first step to debt reduction is acknowledging that there’s a problem and the second is making sure that repayments are properly prioritised. The “debt pyramid”, which is essentially a way of organising which debts to pay off first, and which can wait until a little later to be tackled, is a great way to do it. Remember, no two debts are the same and depending on everything, from the overall amount to the interest rate, there are plenty of reasons why prioritising one debt over another is usually a smart move.